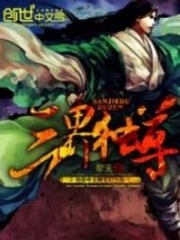 You’re reading novel The Demonic King Chases His Wife: The Rebellious Good-for-Nothing Miss Chapter 1539 online at LightNovelFree.com. Please use the follow button to get notification about the latest chapter next time when you visit LightNovelFree.com. Use F11 button to read novel in full-screen(PC only). Drop by anytime you want to read free – fast – latest novel. It’s great if you could leave a comment, share your opinion about the new chapters, new novel with others on the internet. We’ll do our best to bring you the finest, latest novel everyday. Enjoy! That kind of power that could move the heavens made it impossible to take cover! "Don't!" Su Luo cried out in alarm. She suddenly recalled a long time ago. She was being chased to be killed by Li Aoqiong, where there was no road to heaven nor door to h.e.l.l. Just at the critical point when he was about to kill her, Master appeared. Master appeared in a very special manner. He waved his hand and it seemed as if the s.p.a.ce/time around him froze. Even Li Aoqiong, who was attacking her, became motionless as if his acupuncture points were locked. At this moment, Su Luo wished with all her heart that time would stop. Nangong Liuyun's extremely beautiful face hardened into a cold line. Determined and icily arrogant, from head to toe, he was full of a strong force that was about to burst out. Would he be able to block it? At this moment, it wasn't just Su Luo. Everyone's heart gave off this question and had this worry. Because this strength wasn't something humans could block ah. Suddenly, Nangong Liuyun's complexion suddenly changed, becoming incomparably pale. His pair of legs standing on the ground became unstable and trembled slightly. Oh Heavens, the rim of Su Luo's eyes became red in an instant. Nangong Liuyun's leg's illness had flared up once again. His leg illness flaring up was divided into three stages, the pain would increase exponentially. Originally, it wouldn't reach the third stage so quickly, but because he was battling Dongfang Xuan, his blood and qi rolled over. As a result, in a short two hour time period, the pain index had risen to the highest. "Not good! Second Brother simply can't block this move!" Beichen Ying's expression was unprecedented, solemn and anxious. "What to do! What to do! Dongfang Xuan simply wants Third Senior Brother to die ah! He simply doesn't have any intent of holding back!" Zi Yan was so anxious that she almost cried. "Concede, concede, concede ah…" Su Luo repeated this silently in her heart. She didn't care about ranking number, she only wanted him to be safe and accompany by her side to roam the world, hand in hand until old…. Although he was in extreme pain, Nangong Liuyun's swordlike eyebrows and starlike pupils didn't have a thread of pain. Right now, from head to toe, he gave off a strong, honorable and awe-inspiring aura. "Go die!" Dongfang Xuan's figure came closer and closer, closer and closer! Suddenly, a strange happy expression flashed through Nangong Liuyun's eyes. 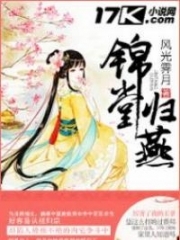 "Buzz——" A strong spirit force floated out from Nangong Liuyun's body, and became a thick fog. It firmly enveloped Nangong Liuyun within, wrapping him up like a chrysalis. Whereas Nangong Liuyun, under thousands of eyes, sat on the ground cross-legged. His pair of eyes was closed tightly, sinking into a moment of enlightenment to cultivate. "Bang!" 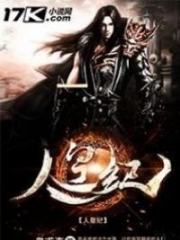 Dongfang Xuan's expression abruptly changed, but he couldn't take back the attack of the Juesha Sword in his hand. It ruthlessly hacked down from above Nangong Liuyun's head. Suddenly, the entire world seemed to freeze at this moment. 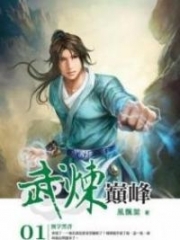 Dongfang Xuan raged between gritted teeth, condensed all the spirit force in his body and poured it all into Juesha Sword. One inch, he only needed one inch and he would be able to kill Nangong Liuyun. But just this inch distance, no matter what, he couldn't advance forward. Moreover, not only was it that Juesha Sword couldn't approach, even he himself seem to have been frozen into an ice cube and couldn't move. How could this be….Dongfang Xuan had a very not good premonition. "Why did His Highness Prince Jin sit down?" "Could it be he isn't afraid….huh, Dongfang Xuan's sword couldn't stab down?" "It seems even Dongfang Xuan's body has been frozen, the appearance of being completely unable to move." "In the end, what is going on? Is it because a powerful expert had moved to save him?" Off the stage, a countless number of people was discussing this. The overwhelming majority of the people didn't know what happened. 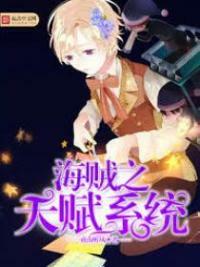 You're reading novel The Demonic King Chases His Wife: The Rebellious Good-for-Nothing Miss Chapter 1539 online at LightNovelFree.com. You can use the follow function to bookmark your favorite novel ( Only for registered users ). If you find any errors ( broken links, can't load photos, etc.. ), Please let us know so we can fix it as soon as possible. And when you start a conversation or debate about a certain topic with other people, please do not offend them just because you don't like their opinions. You're reading The Demonic King Chases His Wife: The Rebellious Good-for-Nothing Miss Chapter 1539. This novel has been translated by Updating. Author: Su Xiao Nuan,苏小暖 already has 3266 views. Current Time is Apr-22-2019 16:49:51 PM.